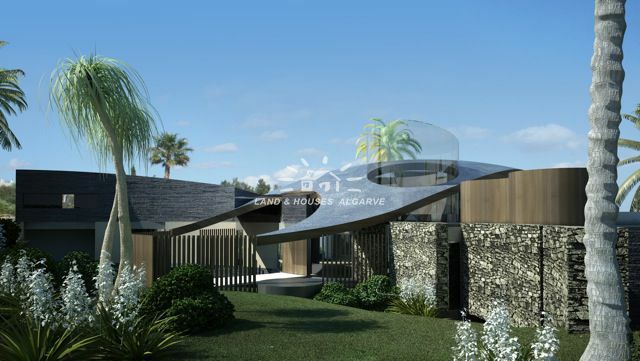 This incredible and fully approved project is located on a fantastic plot on a hill top position within the Goldra gated community only 15 minutes away from the luxurious Beach and Golf resorts of Quinta do Lago and Vale do Lobo, as well as from the international Airport of Faro. 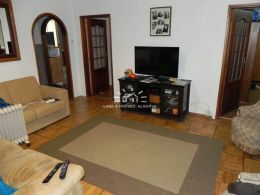 The market town of Loule with all the amenities is only a short drive away. 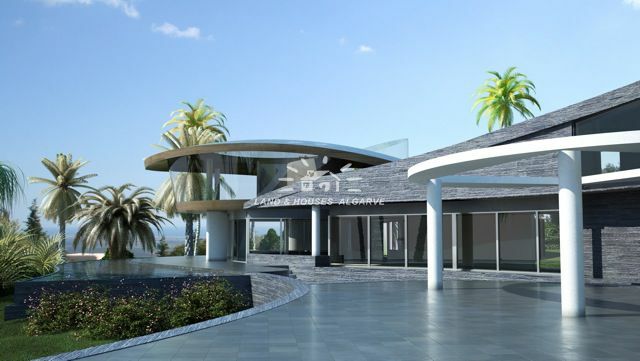 The large plot, with 3.900 sqm has spectacular 180 degrees panoramic views towards the coastline of the Algarve. 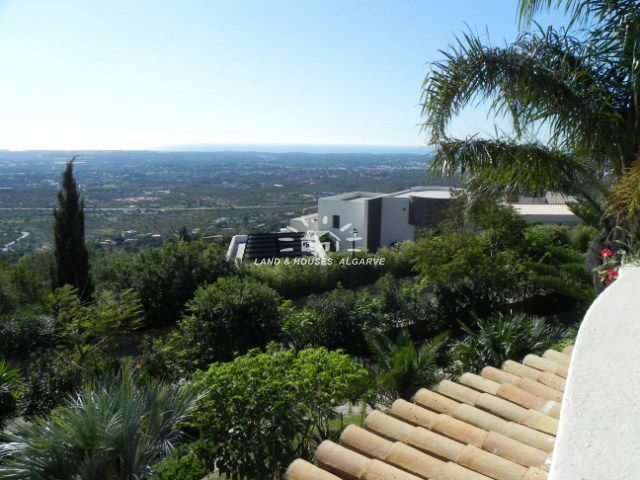 Included in the sale is a modern and very spacious turn-key villa of 1.500 sqm, designed by a renowned architect and reflecting a unique contemporary design. 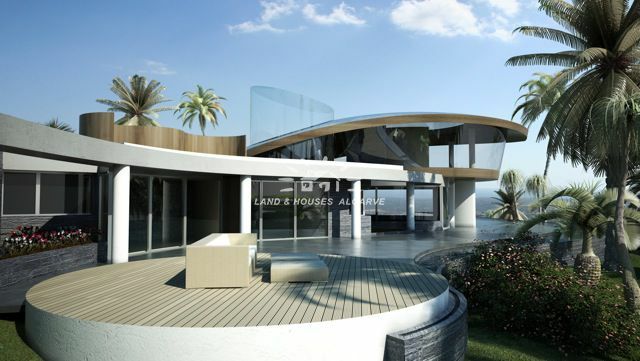 The property will be constructed with latest and best materials using high quality finishings, it also includes a mature garden with many rare species of trees, a Spa-Wellness area and two 35 meter heated (indoor and outdoor) pools. 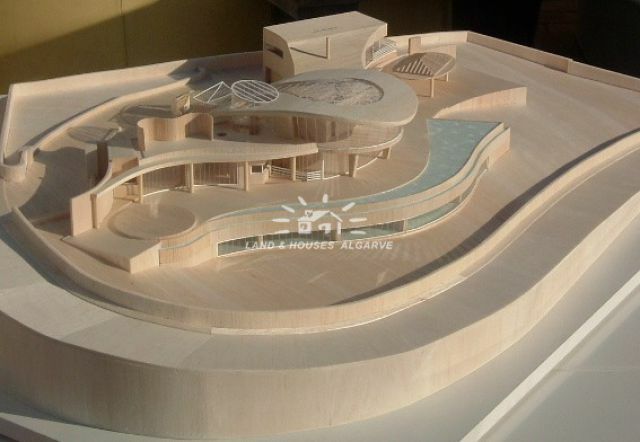 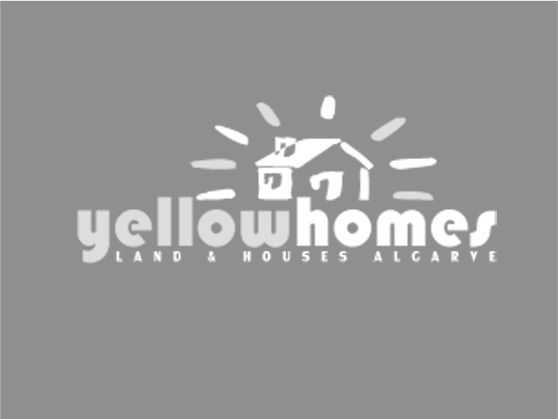 For further information, floor plans or other details about this astonishing project please contact our office!